greatbookprices1 has no other items for sale. 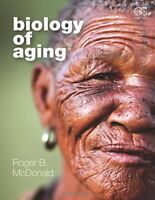 Biology of Aging by McDonald 1st ed. A guide for libraries, policy makers, and those concerned with health care in America. It helps readers find information on long term health care spending, abortion, Medicaid and Medicare, health insurance and the uninsured, the State Children's Health Insurance Program (SCHIP), and more. This essential guide for libraries, policy makers, and anyone concerned with health care in America has now been fully updated Readers will find updated information on long term health care spending, abortion, Medicaid and Medicare, health insurance and the uninsured, the State Childrens Health Insurance Program (SCHIP), and much, much more. New entries reflect important changes in recent years and include the Medicare Modernization Act, abstinence education, electronic health records, health savings accounts, Plan B, the Presidents Emergency Plan for AIDS Relief (PEPFAR), and Project BioShield. Number of Volumes 00 vols.